Make plans to plant trees this spring – they are needed now more than ever! “We had forests that were very resilient to weather variations and insect disturbances in the past — maintained by frequent fire on the order of every year, or every few years at the most,” Finney said. By putting out fires, “we’ve changed completely the fire component of these ecosystems,” he said. How might the dead-tree forests affect California? One of the most striking concerns is the damage the fires might do to watersheds. Intense, hot-burning fires could disrupt forests’ ability to channel water into the Sierra reservoirs that provide cities like San Francisco with drinking water. That’s a scenario that could nudge the state into rethinking its forest management. You can also join us in donating to a non-profit tree planting program. 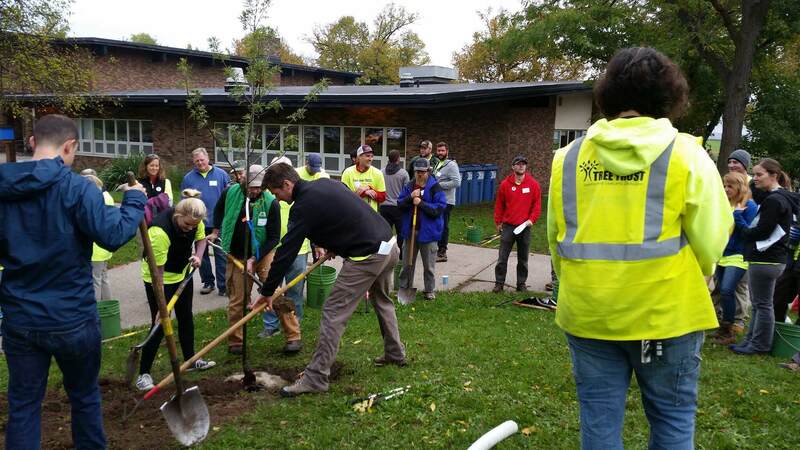 Last fall, we, along with other local businesses, planted 135 trees on private and public property in North Minneapolis. Follow The Autonomous Collective MN on Facebook to hear about our next tree planting event.